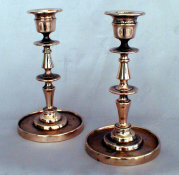 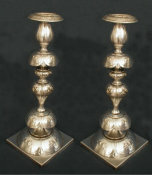 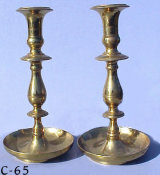 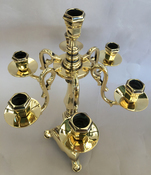 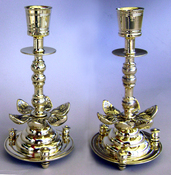 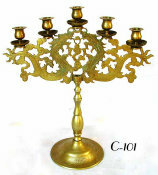 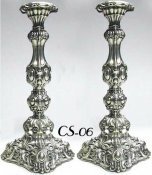 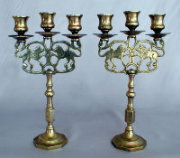 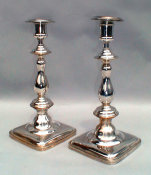 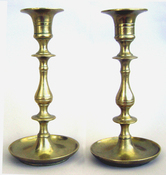 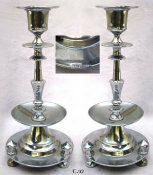 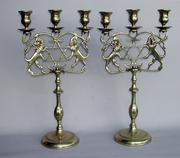 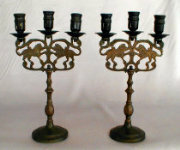 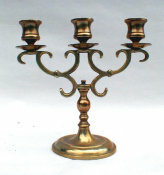 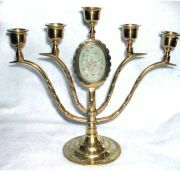 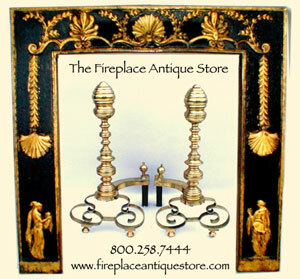 Very Fine Polish cast yellow brass Sabbath Candlesticks. 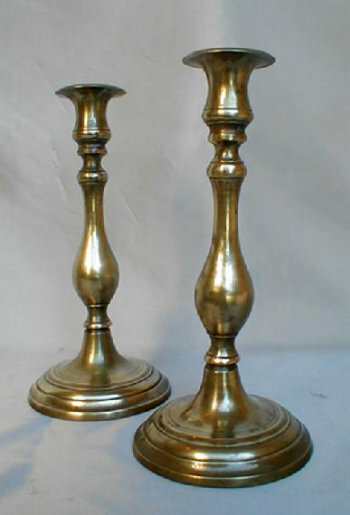 Round baluster stem rises from circular ogee banding detail on base. 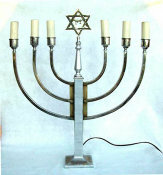 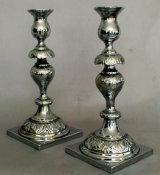 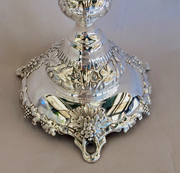 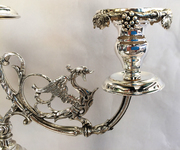 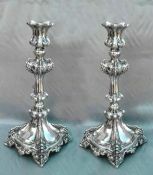 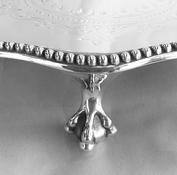 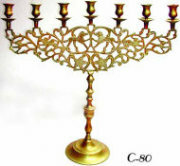 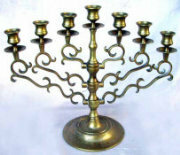 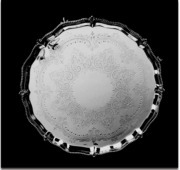 The candle holder of krater shape. 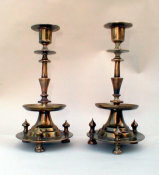 Soft old hand rubbed patina.